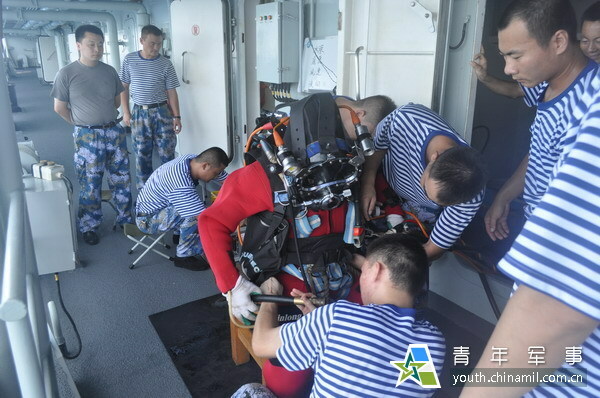 Recently, the north sea fleet a prevention team with 20 divers in the waters of the south China sea descend to 100 m water depth, success again in emergency rescue team big depth of helium oxygen diving new record, the success of the training marked the detachment from the 100 meters underwater helium oxygen diving ability. In unfamiliar waters, first challenge 100 meters deep water, no mature experience, the team and the divers are facing great pressure. 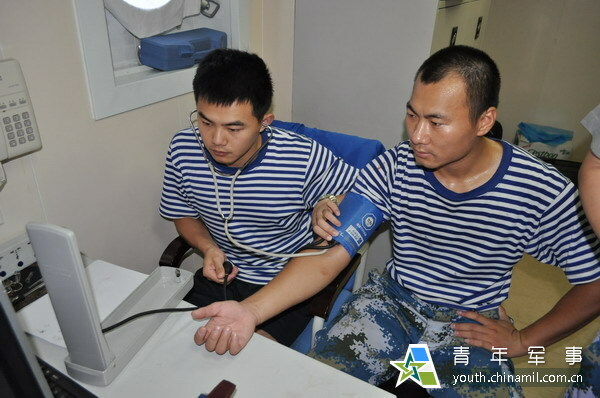 The long training time and the number of the participation, the difficulty and high risk, no matter for divers, physical quality, or for the team as a whole support capability is a rigorous test.